Donate in response to our Donate in Kind Requests (as shown at the bottom of this page). To donate contact etdavis6@earthlink.net. Follow this website (by clicking the box on the lower right of your screen). By following this site, you show your support for Partners in Education–and keep up with all the latest news! Collect Box Tops for Education and Labels for Education, and bring them by our table in the UUCA social hall. 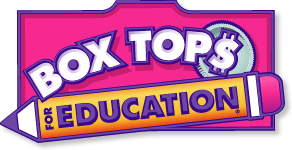 For a BoxTop$ product list, click here. For a Labels product list, click here. Use your Publix Partner Card every time you shop at Publix. Simply show your card to the cashier at check-out. Free cards are available at the Partner’s table in the social hall. Participate in Target’s Take Charge of Education Program. Click here to learn about the program and to enroll. Present Hope-Hill’s School ID # 70024717 when you purchase items at Office Depot stores, n-line (www.officedepot.com) or by phone (1-800-GO-DEPOT). Sign up for TrueBlue Schools . If you’re a Georgia Natural Gas customer, or want to become one, you can direct that company’s contributions to Hope-Hill. Adopt (along with some of your friends) a Hope-Hill teacher or classroom. To learn more, visit the Partners in Education table in UUCA’s social hall each Sunday. Thanks very much for your interest. A team member will contact you.